One of our assessors will visit you at your property at a time that is convenient for you and conduct a free assessment of your current heating system. 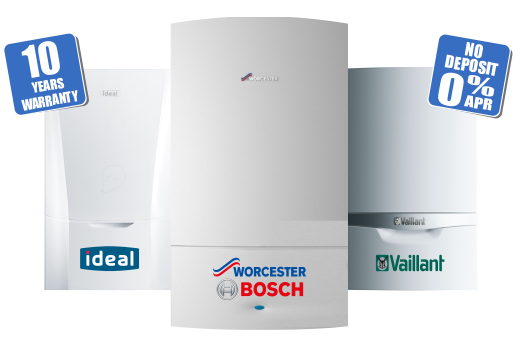 This is to give every one of our customers an individual and personalised plan of exactly what we can do for you and which of our Boilers and other products are suitable for your home. 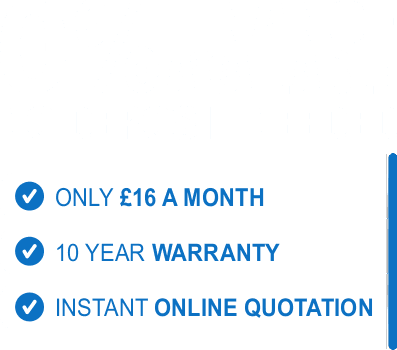 We have a range of finance packages to suit every customer’s needs meaning you can pay for the cost of your new boiler over 6 months or over 10 years with no upfront cost. We treat every one of our valued customers as an individual and can find a package to suit your needs. It is important that your current system is cleaned properly to rid it of any debris and sludge which may have built up over time. We will chemically clean your system and install system protection filters to stop the build-up of these unwanted clogs to ensure optimum boiler efficiency and performance. For more information, please see the System Accessories page under products. The Nest Smart thermostat that we install with your boiler is the first step into making your home a smart home, there is no need to programme the thermostat as it learns your heating habits itself and knows when to turn the heating up or down automatically and can also be controlled from your smartphone or tablet. Nest is also compatible with a whole range of other smart products and is the first step to turning your home into a smart home. Our Boilers come with a 10 Year Parts and Labour Warranty direct from the manufacturer. This means you can relax for the next 10 years and know that your boiler is covered no matter what happens. We also believe in a proactive approach, if you join our annual service plan once a year we will service your boiler for you to make sure it is running at maximum efficiency. We believe that prevention is always better than cure and we want to make sure you home is heated correctly and safely and correctly for years to come. Do you have a water cylinder? With our choice of Flexible Interest Free payment options you can have an A Rated Energy Efficient Boiler from as little as £16 a month†, we also offer a Buy Now Pay Later option meaning you can have your boiler replaced today and pay for it in a years time! Our Boilers come with a 10 year Parts and Labour Warranty direct from the Manufacturer! Meaning you can rest assured that your new Boiler is in safe hands, if you have any problems we are here to help and will be for the lifetime of your boiler. Turn your home into a SMART home, our Nest SMART Thermostat learns your family’s heating patterns and adjusts the heating to suit you. Giving you even more savings off your energy bills! Book a FREE assessment today and one of our friendly and experienced surveyors will come and visit you at your home at a time that is convenient to you. Just had a new boiler installed all in one day and I can't fault the work or the people who put it in. I was given a quote and there was no hidden extras and the price was lower than all the others quotes that I received. The team that came to do the work were very polite and cleaned up as they went. 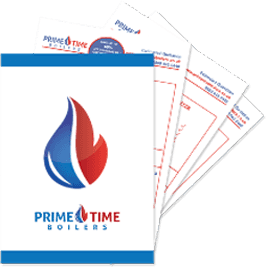 Well done Prime Time job well done recommend you to anyone who needs a new boiler 10 out of 10. Big thanks to the engineers at Prime Time Boilers, I know I had a difficult job changing my back boiler from my front room to a new combi boiler in my kitchen but they got it done in 2 days and they did it all very neatly! Really happy with all of the team from Prime Time Boilers. My boiler was old and didn’t work properly so I had a new boiler installed and paid for it through finance. The guys that came to install were really good and knew what they were doing. So all In all they did a really good job. Save up to 60% off your Gas Bill with a new A Rated Energy Efficient Boiler. Nest Smart Learning Thermostat which helps you save money and control your home’s heating on the go. As well as a whole range of Nest compatible Smart products bringing your home into future. A Chemical Clean to make sure your boiler maintains its efficiency and is always running at its optimum performance. 10 Year Parts and Labour Warranty with a 24 Hour Response Time and an Annual Boiler Service Plan. To carry out our work we only use experienced and vetted Gas Safe registered engineers to ensure all our work is carried out to the highest possible standard, meaning that the engineer that carries out your installation will be an experienced tradesmen and will be able to carry out an excellent job from start to finish. He will also help with any questions you may have on the day. Our Gas Safe registered engineers have carried out thousands of boiler installations between them and have a wealth of knowledge suitable for any heating system. Our whole team has the benefit of being able to tap into this wealth of knowledge which can help us provide a better overall service to our customers. (FRN: 646914). Registered in England & Wales. Company Number 07387737. VAT Registration Number 112575632. †Representative Example: Cash Price £1,668. Deposit Payable £500. Total Amount of Credit £1168. Total Interest £645.20. Total Amount Repayable £2,313.20. Repayable by 120 monthly instalments of £15.11. Representative 9.9% APR (fixed). *Free Hive Thermostat on Combination Boilers only.